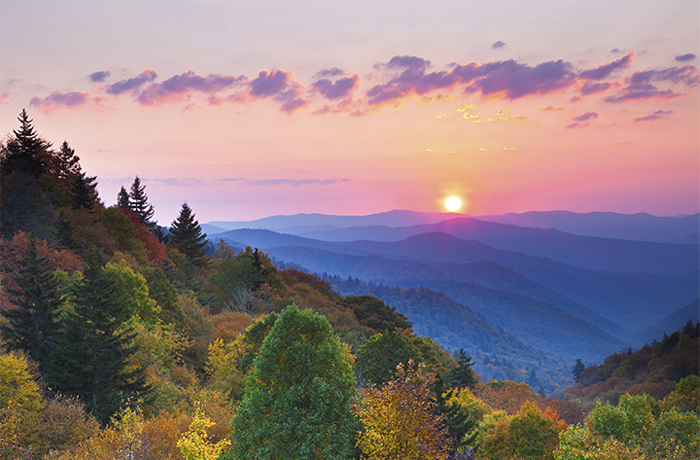 Fall is an excellent time to explore the Smoky Mountains. With beautiful weather, gorgeous fall foliage, and fun festivals and events, what's not to love? To help you get the most out of your autumn experience in the Smokies, we've made this guide of the 8 best fall festivals in the Smoky Mountains you don't want to miss! From September through Thanksgiving, Gatlinburg will be decked out with colorful fall decorations that make this charming town even lovelier. Along with beautiful fall foliage and the pleasantly cool fall weather, You'll definitely want to check out Fall Fest in Gatlinburg. Best of all, this festival is free to enjoy! Some other highlights of fall fest include the annual Chili Cookoff on the first Wednesday in November and several crafts shows that run during October and November. Gatlinburg is also home to two haunted house attractions that pull out all the stops for Halloween and even a nighttime Ghost tour. For more ideas on how to enjoy autumn in Gatlinburg, check out our guide to visiting Gatlinburg in October! 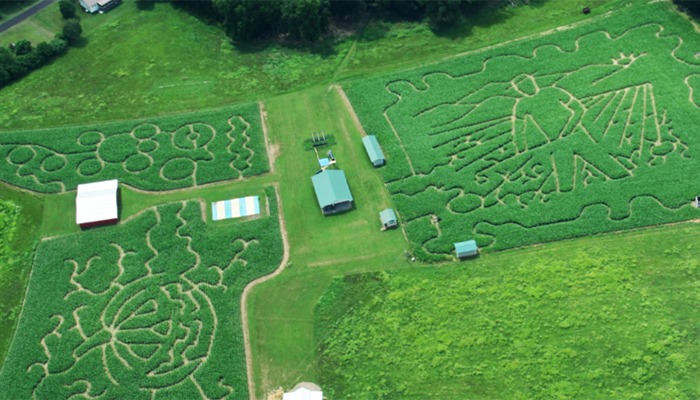 Kyker Farms Corn Maze is an annual event that's open during the entire month of October! For the uninitiated, a corn maze is a maze made by cutting down a path through a corn field. These mazes are fun, disorienting, and are often shaped in complex designs that you can view from above. 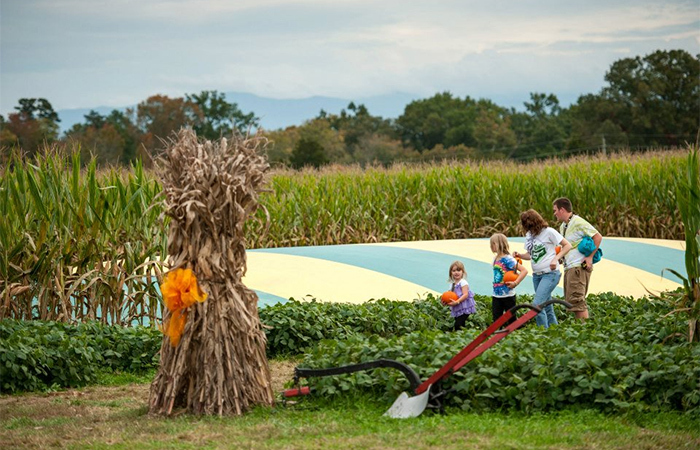 Altogether, there are 5 corn mazes at Kyker Farms, so you'll have a blast getting "Kornfused" with your family and friends! Thought this corn maze isn't a festival in the classic sense, it certainly feels like one! It also has all of the classic fall activities that are perfect for enjoying on a brisk autumn day! After dark, Kyker Farms offers a haunted trail and a fun Zombie Blasterz Paintball game to help you enjoy some spooky Halloween fun! Dollywood Theme Park is well known for putting on excellent seasonal events and their fall festival does not disappoint! Dollywood's annual Harvest Festival brings lots of beautiful decorations to complement the beautiful fall colors that come to Dollywood every fall. 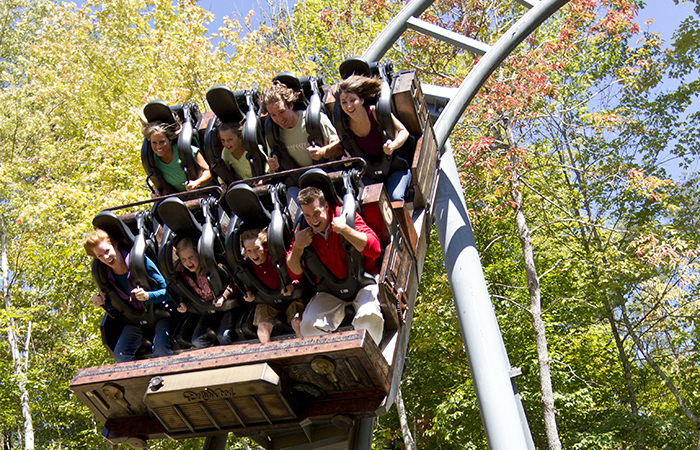 Additionally, Dollywood has some special events and activities to enjoy during your visit! Great Pumpkin LumiNights – After dark Dollywood, you can see dozens of grinning Jack-O-Lanterns in the Timber Canyon Section of the park. There are even pumpkin-themed food options and entertainers to complement this magical event. Southern Gospel Jubilee – One of the largest southern gospel festivals in the world takes place in Dollywood in the Smoky Mountains. See some of the best gospel acts perform at Dollywood this fall! Fall Artisans – Unique artisans from around the country to display their crafts and demonstrate how they create these beautiful pieces of art. Here's a sneak peak of what you can enjoy during the fall festival at Dollywood! Every fall, The Island in Pigeon Forge brings out lots of fun fall décor to this excellent shopping, restaurant, and attraction destination. They even offer live bluegrass shows during the day, so you can enjoy some lively mountain music on a nice fall day. In past years, some families have even gone to the Island fully costume, so it's a great place to celebrate Halloween in the Smokies. In fact, children in costumes who come to The Island on Halloween day can get half-priced unlimited rides passes! Along with this authentic German-style fall festival, you can also enjoy the fun attractions at Ober like ice skating, the alpine slide, the mountain coaster, and more! 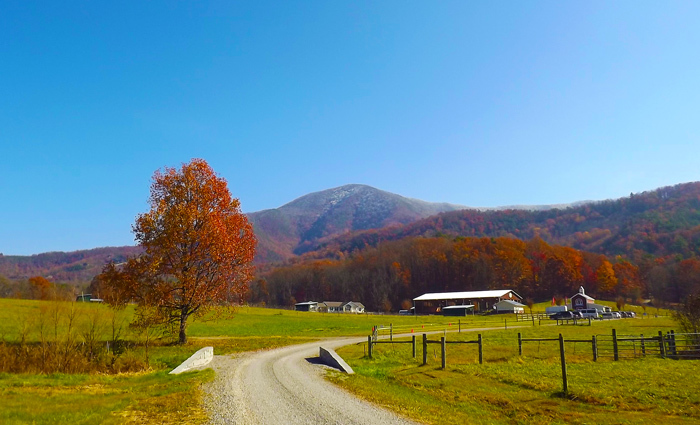 As beautiful fall colors come to Ober, come celebrate the harvest with a classic Oktoberfest event in the Smokies! Every October, artisans from Gatlinburg and around the country gather at the convention center in Downtown Gatlinburg to showcase their skills at pottery, woodworking, metallurgy, quilting, and more! Better yet, many of these artisans hold live craft demonstrations, so you can learn about the techniques and skills necessary to make the beautiful items you see on display. Located in the beautiful Wears Valley, it's hard to imagine a better setting for an autumn celebration in the Smoky Mountains than this picturesque valley located just outside of the national park. Crafts - Excellent Vendors and Crafts Demonstrations. Delicious Food – BBQ, Grilled Corn on the Cob, Candy Apples, Steak on a Stick. Live Music – A Great lineup of country, gospel, and folk artists. Kids Activities – Crafts activities, pumpkins, carnival games, an obstacle course, and inflatables! This event is held to raise money for Keep Sevier Beautiful, an organization that works on protecting the beautiful Smoky Mountains of Tennessee. This unique fall festival in the Smokies features whiskey sampling and delicious gourmet southern food from local restaurants and distilleries, wineries, and breweries in beautiful Townsend Tennessee! Billed as a "spirits and food" festival, Grains and Grits is an excellent way to enjoy a taste of fall in the Smoky Mountains. Other highlights include live music and other performers. Please note, this festival is only for attendees 21 and up. With tons of excellent fall events, the Smoky Mountains are an incredible place to enjoy the gorgeous autumn season! While you're in the Smoky Mountains, be sure to check out some of the beautiful fall hiking and or check out our other ideas on how to enjoy your fall getaway to Gatlinburg!